Don’t wait! There are a limited number of spaces so book online now! Costa Rica Photography is a local family photography company based in Tamarindo Costa Rica. We offer the easiest and most convenient way to purchase family portraits in Costa Rica. Online booking allows you the ability to choose your desired time and location that works best for you! We accept all major credit cards, making the online booking process a breeze. Tamarindo is famous for its epic beaches, such as Playa Tamarindo, Playa Grande, Playa Langosta, Playa Conchala, Playa Flamingo, Playa Brasilito, Playa Portrero, Sugar Beach and Las Catalinas. Costa Rica Photography is operated by photographers who are familiar with the area and it’s beautiful scenic vistas, thereby creating amazing portraits for you and your loved ones. We specialize in custom family photography for vacationing families, friends, and couples visiting from all across the globe. We accommodate families and groups of all sizes, and of course individuals too! Booking online is easy and we accept all major credit cards! Costa Rica Photography will meet you and your loved ones at an area of your choosing for your custom photography tour. Choose an in-town photo session or one of Costa Rica’s glowing golden-white sand beaches. You’ll get 30 minutes to work with one of our photographers. Together, you can take portrait shots, candid shots, action shots, and silly shots. Upgrade your package to include a professionally edited video of your photography tour, including beautiful aerial footage, to capture even more memories in beautiful high definition! The choice is yours! Photographs will be uploaded to your very own personalized photo storage site where you can download, share, or create custom photo books, prints, calendars and more! Reserve your appointment with a $25 deposit! Book now online to reserve your photo session! We come to you! Making this photography experience simple and convenient for you and your loved ones! Pura vida! Photos will be uploaded to your very own personalized photo site, where you will receive full copyright release, have the ability to share or download all images, and purchase custom prints, photo books and more! We can photograph everyone from the adventurous solo traveler to the entire family vacation. Leave the stress and worry of capturing your families vacation memories up to us! Let our local expert photographers take you and your family on a photography tour through town, or la playa! We can even film your photography session and edit it into a beautiful professional video! Beautiful professional photos taken by seasoned and experienced local photographers. Whether you want candid shots or portraits, we will deliver the perfect family photography session that fits your needs. Costa Rica Photography will customize your sessions to satisfy each and every requirement you give us! We’ll even film your photo session with our videographer on the ground and our aerial drones from the sky! From this we’ll deliver a fully edited video that captures your time spent with us. Costa Rica Photography provides the utmost level of service, convenience and quality from start to finish! We’ll travel to you. Costa Rica Photography services all of the major beaches along the Pacific Coast between Playa Langosta to Las Catalinas. These include Playa Langosta, Playa Tamarindo, Playa Grande, Playa Conchala, Playa Brasilito, Playa Flamingo, Playa Portrero, Sugar Beach and Las Catalinas! Costa Rica Photography provides custom photography services for vacationing families visiting Costa Rica. We’ll take the lead and show you around town or la playa while photographing your family adventure along the way! Don’t forget about our premium video package where we’ll film your photo session and deliver a beautiful fully edited video! 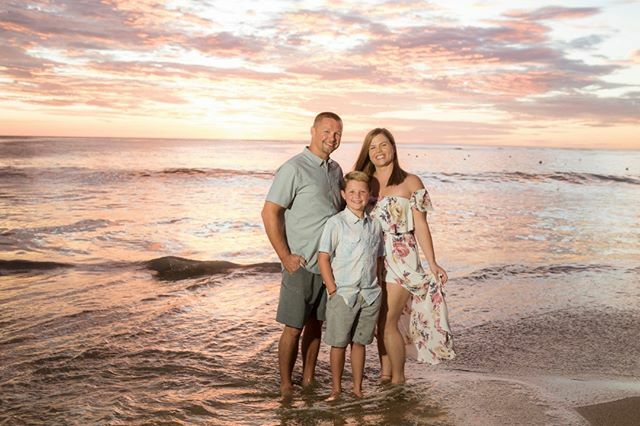 Our local photographers live and work in Costa Rica and know the most epic locations to capture the perfect photos of your families Costa Rican adventure! Sorry, booking has closed. Will be announcing our next booking session soon. If you would like to be notified once booking enrollment begins, please submit your email address. Our booking windows are limited – first come, first serve. If our booking enrollment has closed, we can notify you just as soon as it reopens. Bring your entire group! We can handle the entire party no matter how large or small. Costa Rica Photography hires local expert photographers who know the local area to get you the most epic photographs of you and your family. Step 1. Choose your package. Step 2. Choose your location. Step 3. Choose your date and time! It's that easy! Your photographer will be holding a Costa Rican flag when he or she meets you at your chosen time and location! I want to secure my position now for only $25. There is only a $25 dollar deposit to book your session. Your remaining investment will be charged after your photo shoot. You will work with one of our local photographers to create the perfect memories of your epic vacation in Costa Rica. We can accommodate your entire group, no matter how large. Thank you for allowing us to share and contribute to your memories of this glorious time here in Costa Rica. Receive $50 Off On ANY Custom Photography Tour Instantly By Booking Online!